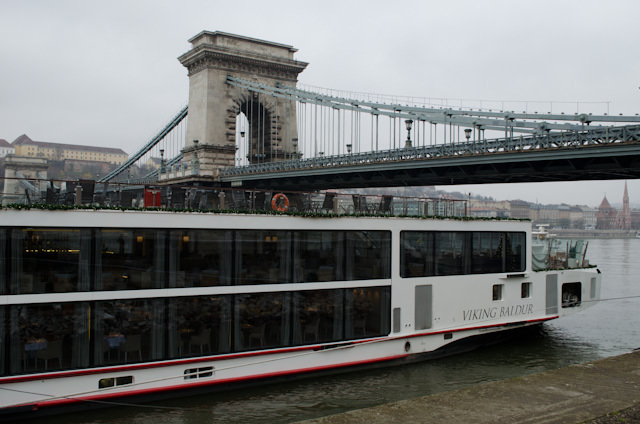 This morning, I left the Kempinski Hotel Corvinus Budapest and pulled my luggage a few blocks south, where Viking River Cruises’ Viking Baldur sat at her berth near the historic Chain Bridge in Budapest, Hungary. 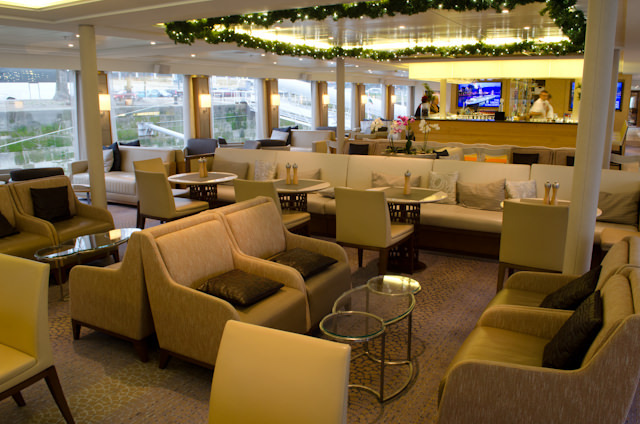 This would be the start of my fourth Christmas Markets cruise, and my third on the Danube. 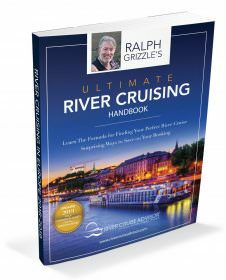 In fact, my very first river cruise experience took place three years ago in December of 2011, and it was then that I discovered two things. One, river cruising was fantastic. 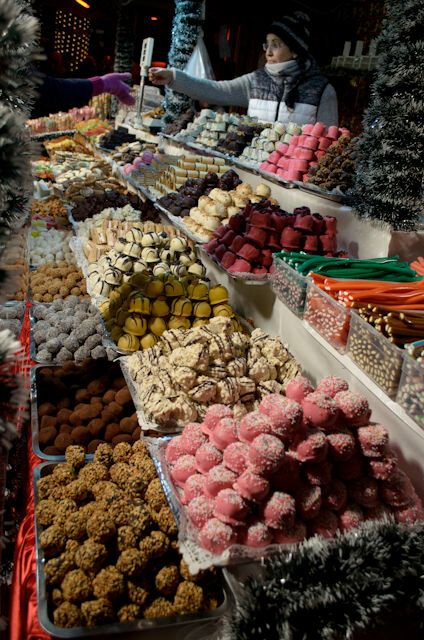 Two: there’s absolutely nothing like Europe’s Christmas Markets. North Americans might not know exactly what these are. 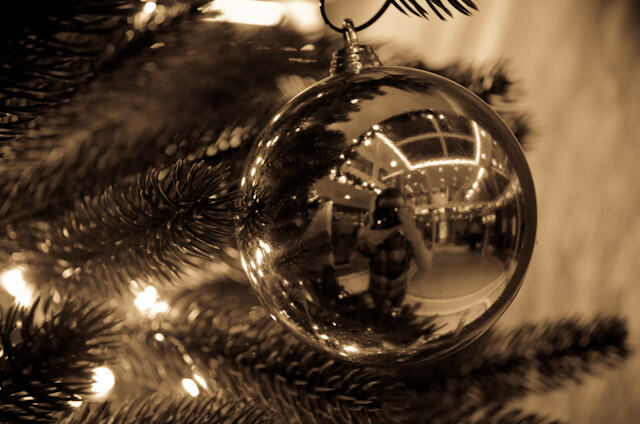 The tradition of the Christmas Markets dates back to the late-middle-ages, and every city likes to claim that they were the first to develop the tradition. There’s a lot of evidence to support the fact that they originated first in Germany and Austria, but quickly spread to parts of France and Northern Italy as well. 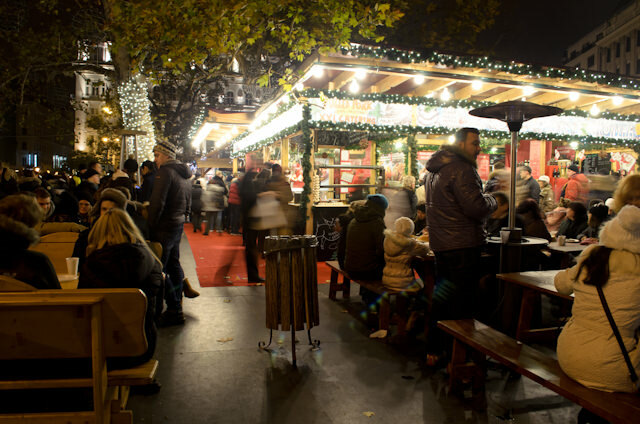 These days, Christmas Markets are prevalent throughout much of Europe, though in varying intensity. 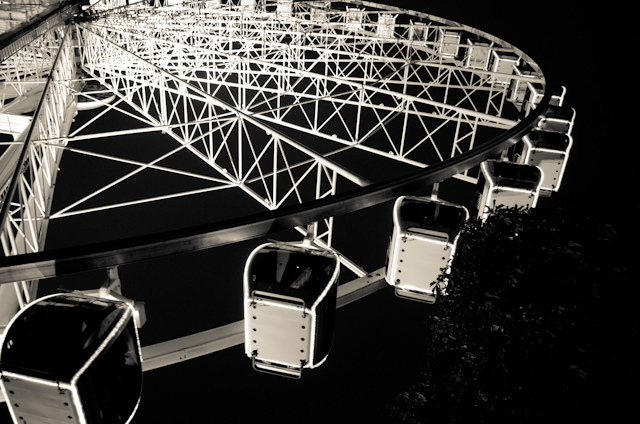 The Dutch capital of Amsterdam, for example, doesn’t really do too much in this regard, and sun-drenched cities like Nice aren’t likely to have the kinds of markets that Vienna, Frankfurt and Munich have. 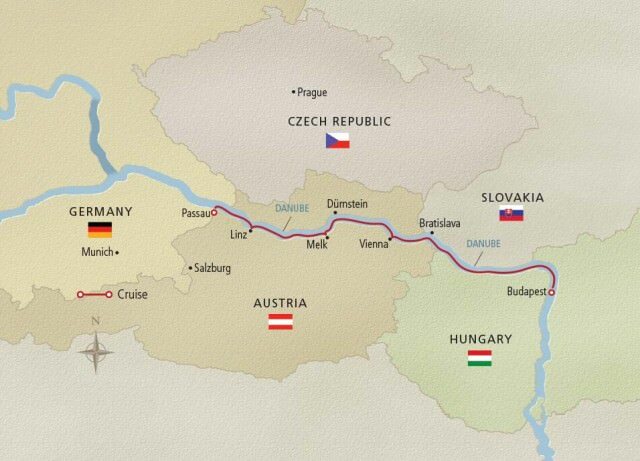 While Viking River Cruises operates this Danube Waltz itinerary throughout the year beginning in March, it is the departures after November 30 that are so sought-after. 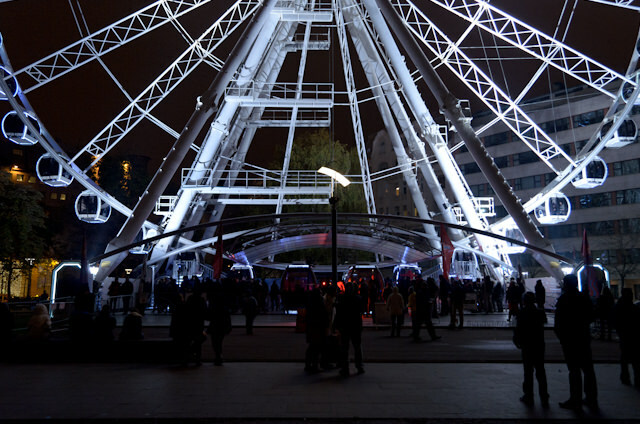 It is then that the Christmas Markets open up and remain in full swing throughout most of December, typically until December 23 or 24. In the next seven days, we’ll be calling on Bratislava, Slovakia; Vienna, Durnstein, Melk, Linz and Salzburg, Austria; and finally, the Bavarian town of Passau, Germany where we’ll have a full day of touring before disembarking and transferring to Munich for our flights home. Arriving at the Viking Baldur just after 12:30 p.m., embarkation was a simple affair: as I was arriving independently, I wheeled my luggage down the gangway and presented my passport to the Reception Desk for verification against the manifest. Then, I was given my keycard and shown to my room, which is a carbon-copy of the room I occupied last week aboard the Viking Forseti in France. 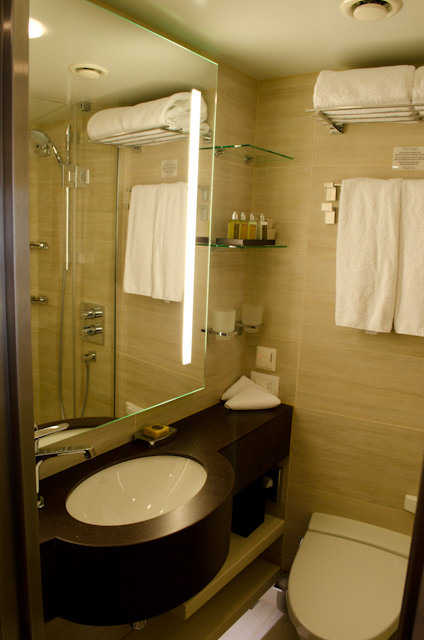 In fact, it’s just two doors down – confusing, as I keep walking past it and to the room I had before. Kids, when you book a back-to-back cruise, make sure the room numbers are either the same, or on a different deck! If there’s one thing Viking does incredibly well, it is that they create ships that have a wonderful sense of warmth to them. For first-time Viking guests, no doubt the soft, soothing colours will impress them, along with the views out the magnificent floor-to-ceiling windows. 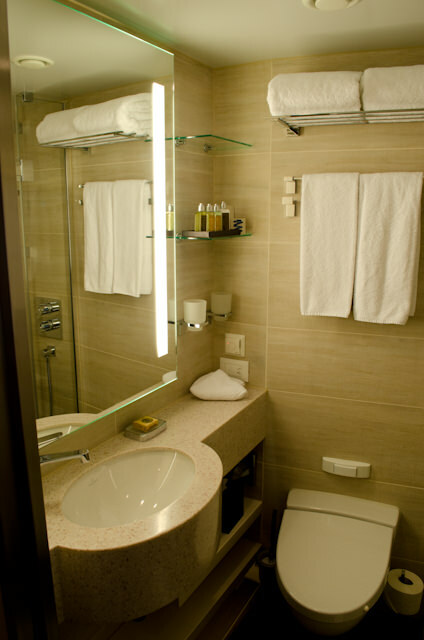 For returning guests like myself, feeling ‘at home’ takes only seconds. In fact, Viking Baldur is so similar to Viking Forseti that I almost expected the crew and guests I had come to know so well over the last week to materialize at any second. 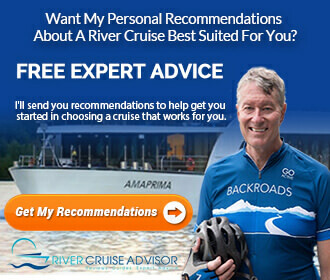 That kind of familiarity is great, particularly for guests who are arriving the day of the cruise and like to know where everything is and how everything works. 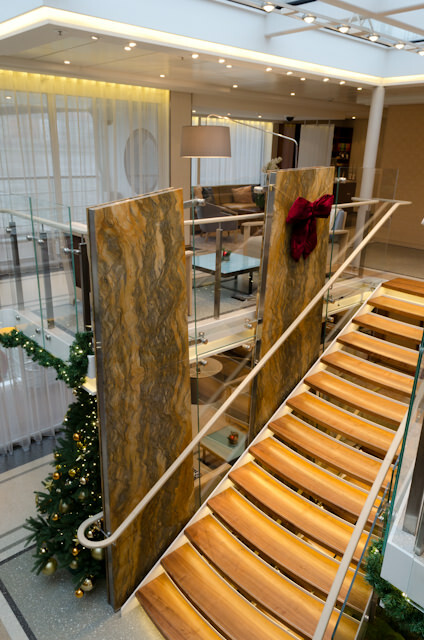 Viking makes it very easy for guests to know what they can expect from each day of their cruise thanks to the printed Viking Daily, which is really one of the best in the industry. Not only does it contain important information about what is happening around the ship, but there are also important facts about the places you’re either in or will be visiting, along with tidbits, trivia, and quotes. By two o’clock, what I like to call the “Viking Express” began to turn up. These are the white Viking-branded Mercedes coaches that can be seen zipping smoothly along the highways and streets of many European cities, and in this case, they’re all bringing full loads of guests straight from Budapest’s Ferenc Liszt International Airport to the Viking Baldur. 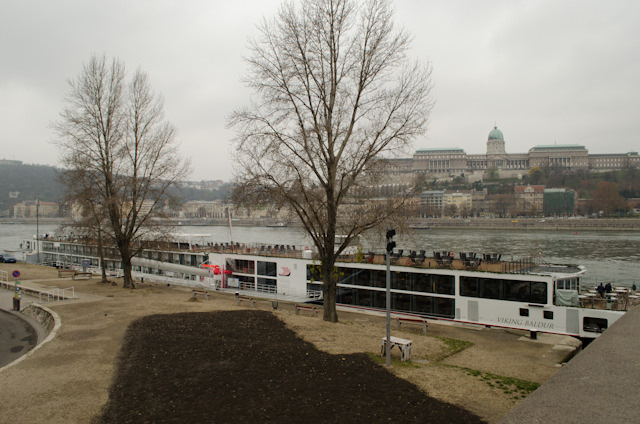 You don’t have to purchase transfers with your Viking river cruise – but I would. Unless you’re an experienced traveller, it takes the guesswork out of taxi fares, currency conversion rates and even luggage handling. This evening, it only made sense to head out to take in Budapest’s Christmas Markets – and thanks to the folks at the Kempinski where I stayed last night, I even learned there was another market that I had never even been to before, right at the foot of the Basilica. 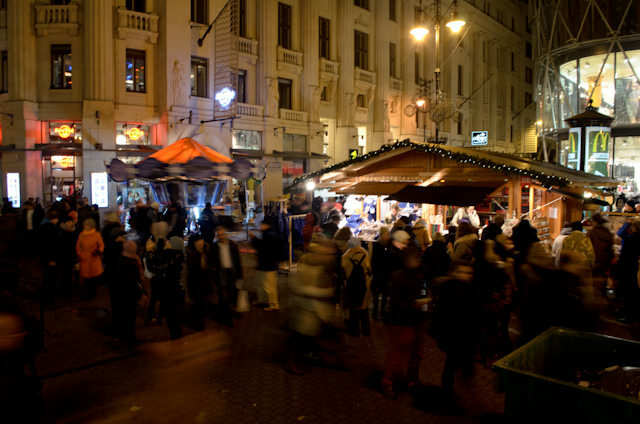 Hungarian Christmas Markets have their own unique style and flair. 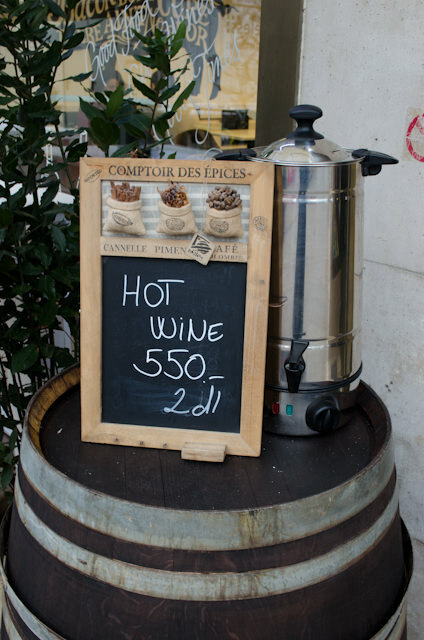 Sure, you can get mulled wine, but you can also have it spiked with Palinka, a traditional Hungarian spirit that’s sure to knock the cold right out of you! 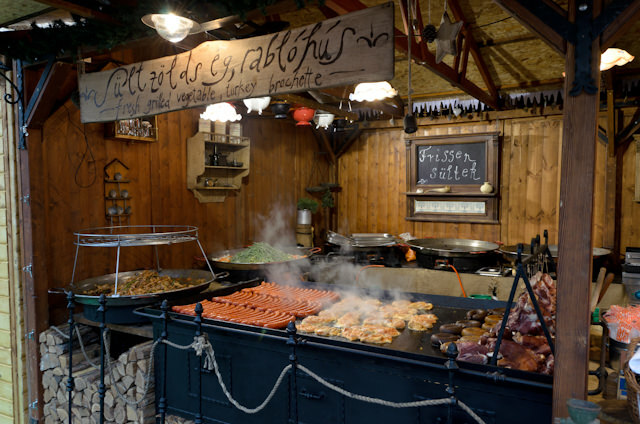 Food is also suitably unique, with plenty of spiced sausages, hearty goulash soups spiced with paprika, and heavymeats grilled to perfection. There’s also one item you may not be familiar with: Rooster Testicle Stew. Yes, you too can indulge on some rooster testicles. I’m up for trying a lot of things, but I had to draw the line somewhere. It must be quite good, because people were lined up to get a helping of it. I was trying to work out the fact that a) roosters had testicles and b) that they were quite large. 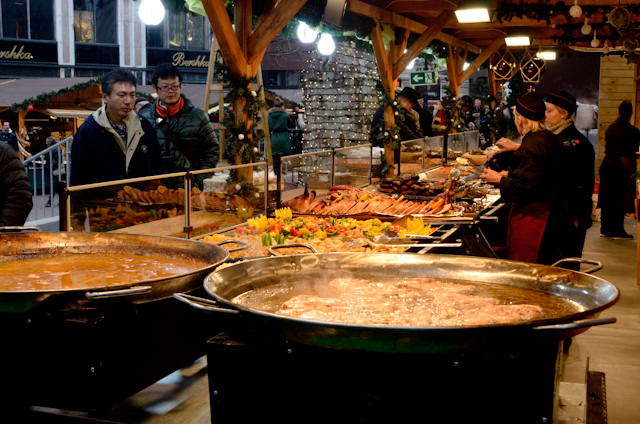 Animal anatomy aside, the food at the Hungarian Christmas Markets is really spectacular and you should try most of it – particularly the soups. Hungarian goulash isn’t the stew that North Americans think of, but rather a warming cross between soup and stew. 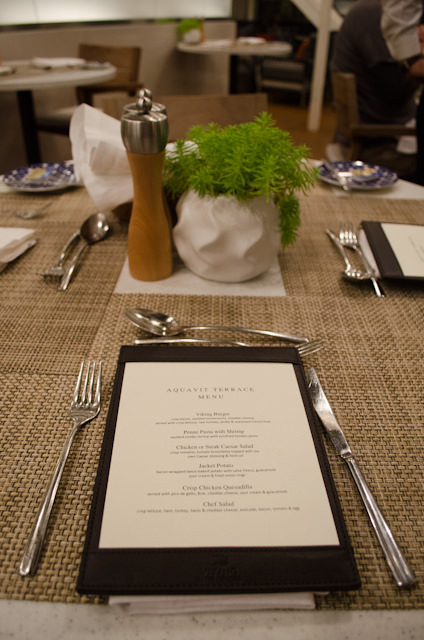 Tonight, I tried something new for my first dinner onboard. 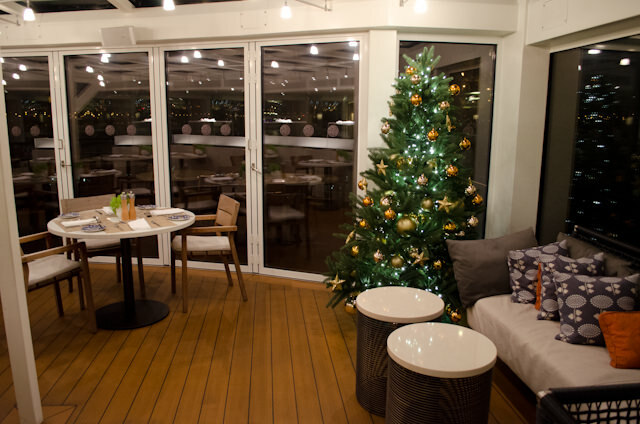 Viking offers casual dining each evening from a fixed menu in the Aquavit Terrace – a feature I’d seen two years ago onboard Viking Freya, but one that had seemed to quietly disappear last year. Not so this year: from 7 p.m. each evening, you can dine on a variety of casual meals here. It’s a great alternative to the main dining room if you’re looking to have a quicker or perhaps quieter meal. Our waiter, Johnny, recommended the quesadilla, and I was pleasantly surprised at how good it was. Full and flavourful. 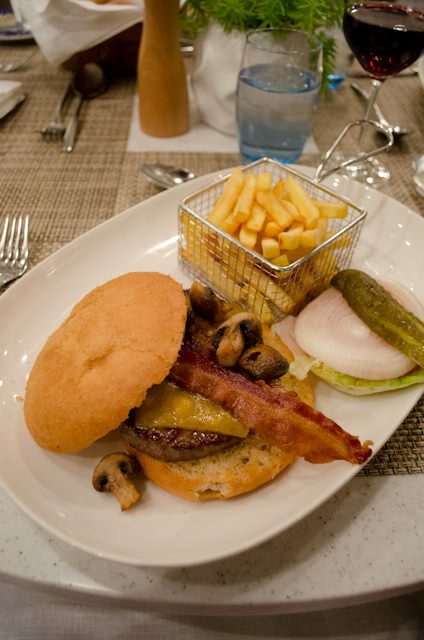 I may have also had a hamburger. What can I say? My Budapest walkabout made me hungry. 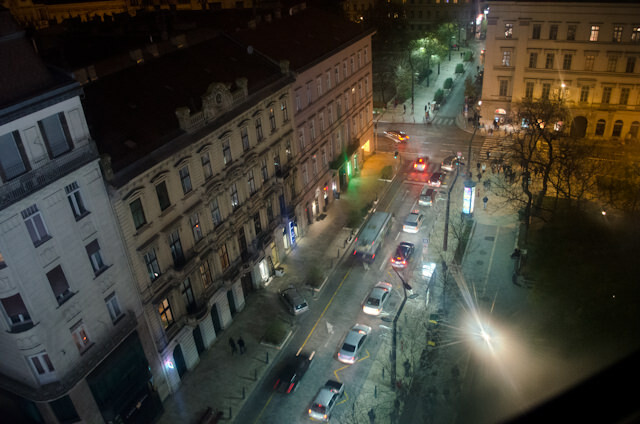 Beverages like wine and beer are still available complimentary here, and looking out through the large oversized glass windows at the Chain Bridge, resplendent in its evening lights, was a real treat. 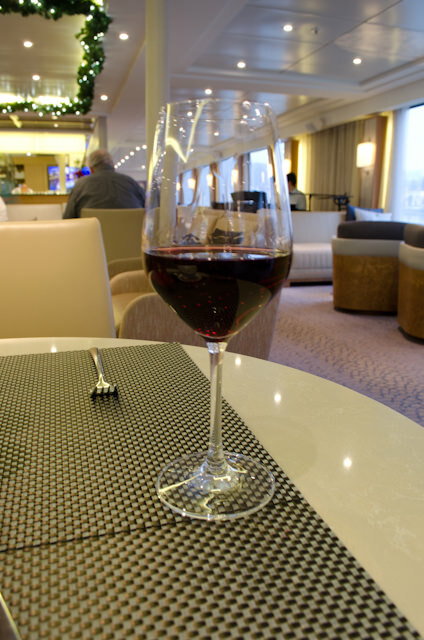 It was a nice, casual, low-key start to what I hope will be another fantastic journey along the Christmas Markets of the Danube – and on Viking River Cruises. Illustration courtesy of Viking River Cruises. 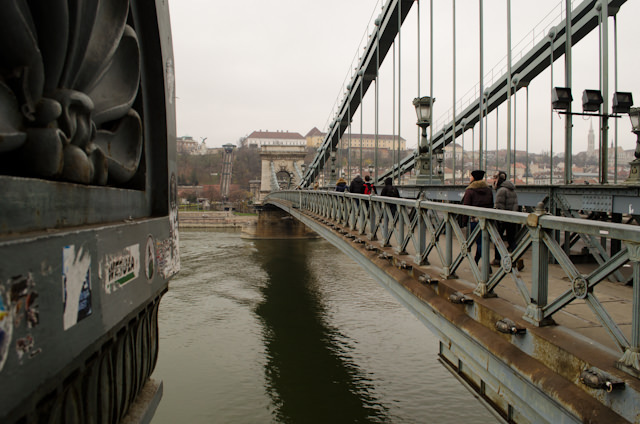 December 1, 2014 Budapest, Hungary City tour of Buda and Pest, including Castle District - a UNESCO World Heritage Site. December 5 Linz, Austria / Salzburg, Austria Full day excursion to Salzburg, Austria; free time. Return to ship late at night. December 7, 2014 Passau, Germany Disembark Viking Baldur; transfer to Munich, Germany for onward journey home.